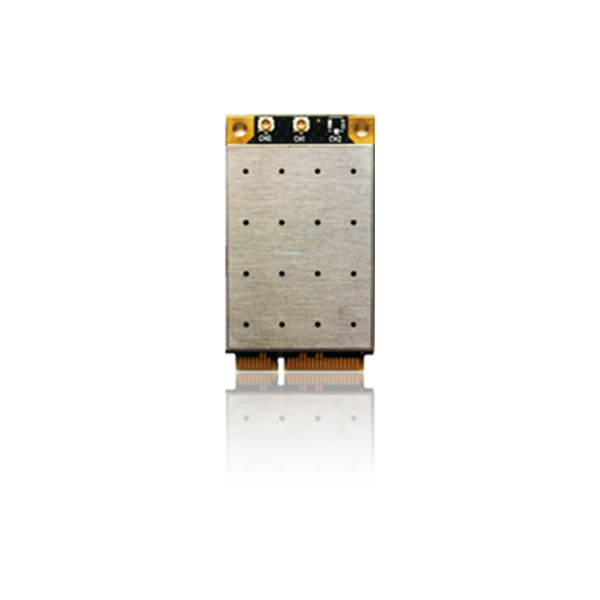 The WLE600V5-18 is a IEEE 802.11a/c wireless adapter that operates in 5.0 GHz bands, available in PCIe mini card form factor. Featuring QCA9882 chipset, the WLE600V5-18 dramatically increases the overall throughput up to 867Mbps with 2x2 MIMO technique. Leveraging the revolutionary 11ac technology, WLE600V5-18 sets a new benchmark in throughput and range, making it ideal for consumer and enterprise applications, such as video, voice and data transmission. The WLE600V5-18 is backward compatible with 802.11a/n and fully supports industry standards compliant security.